Pokemon GO for Apple Watch is now available. 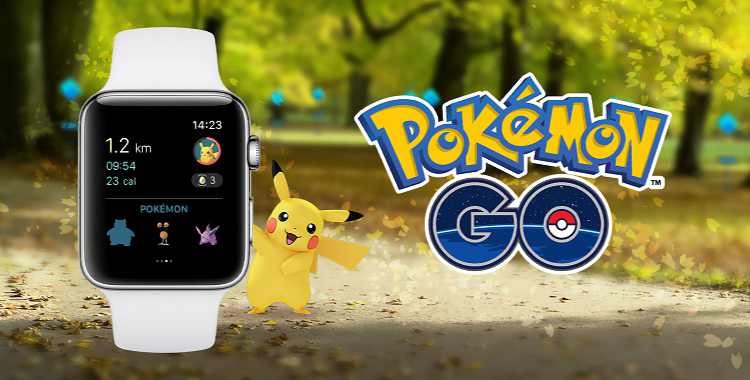 Players can now explore and experience the world directly from Apple Watch, whether you’re searching for wild Pokémon or trying to hatch the Pokémon originally discovered in the Pokémon Gold and Pokémon Silver video games. According to the Niantic, Apple Watch is particularly well suited to Pokémon GO. You can easily interact with Pokemon GO for Apple Watch, using quick taps to discover nearby Pokémon and collect items from PokéStops. Once you encounter a Pokémon, you can catch it from your iPhone. You can log your play sessions through the Apple Watch app as a Workout that will count toward your personal Activity rings, while also counting distance toward hatching Pokémon Eggs. Log each play session as a workout, with gameplay counting toward personal Activity rings. Receive notifications about nearby Pokémon. Count distance toward hatching Pokémon Eggs and receiving Candy with your Buddy Pokémon. Receive notifications about PokéStops nearby and collect items from them. Receive notifications when Eggs hatch and medals are awarded. Recently, the game was launched in India and other Asian countries.